"I just came back from Maldives for vacation"
"Oh My God! You are so rich. That place must be very expensive!" That is perception a lot of people every time I told them that I've went to Maldives. Most of people in my country will think that only rich people can go to Maldives as Maldives is one of the luxurious place in the world. Yes, I agree that.. but recently, there are a lot of budget hotels in Maldives. You can get hotel as cheap as USD20. I went to Maldives as backpackers with my travel friends. 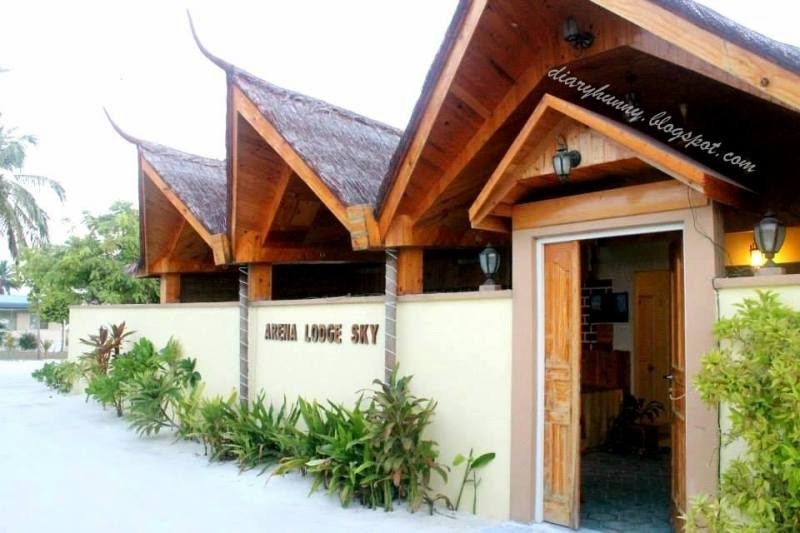 We stayed at Arena Lodge in Maafushi. The room rate is only USD40 per night... very comfortable and clean. There is Wifi and the staffs are very kind and helpful. 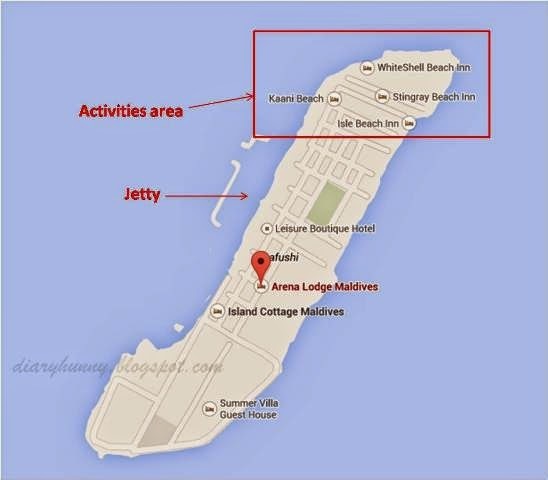 The location are very near to jetty but if we want to do activities like swimming, snorkeling, BBQ and so on.... we have to walk to Arena Beach at North Maafushi which is quite far from our hotel. So, I would recommend you to stay at activities area to save your time and energy of walking. Ouh, I forgot to tell you that, Maldivian is 100% Muslim. So you only allowed to wear bikini at swimming area. If you look at the map below, the swimming area is located in front of Kaani Beach Hotel. The water are very beautiful.. I swear! so damn beautiful!. We choose to fly with Malaysia Airlines and luckily, we managed to get promo price at MYR1130. So we can save our moneyy.. yeayy!!! You will see this signboard once you enter Maldives. 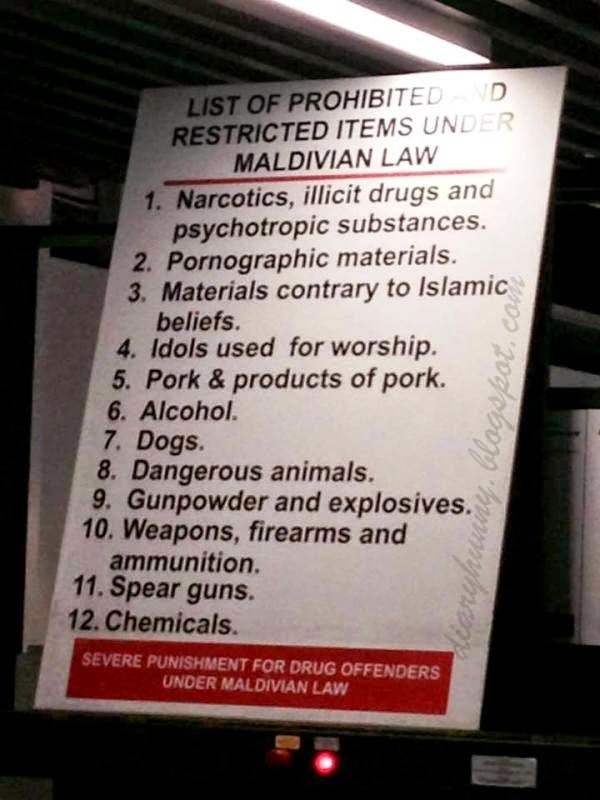 The prohibited and restricted items under Maldivian Law.